This 97 year old family home has been transformed from its traditional roots to encompass a modern aesthetic. 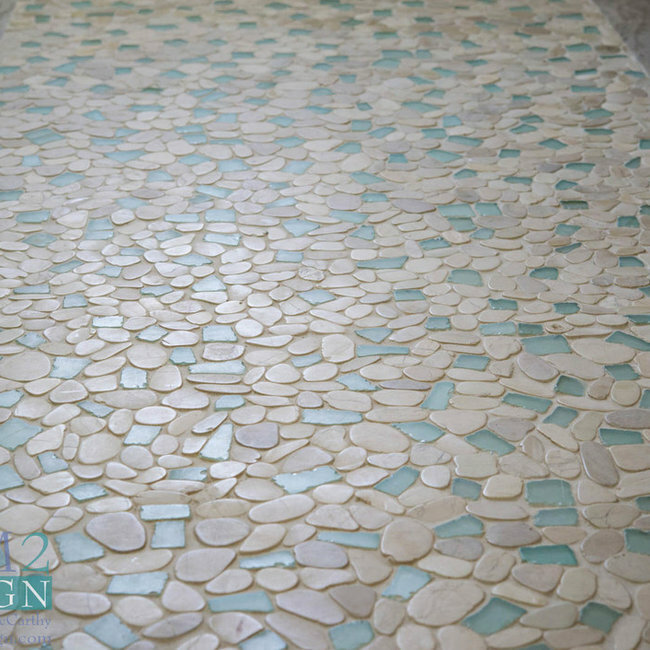 The sea glass color palette has inspired each room to tell its own story of a family summer life. The home on the river was inspired by the Homeowners love of the Arts and Crafts movement. The natural materials of wood, brick and slate created the perfect casual platform for entertaining on the water. 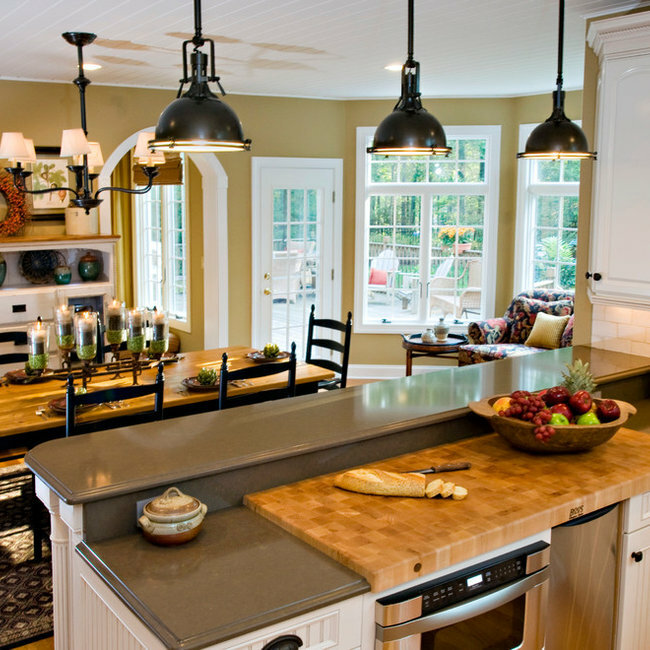 The cabinets and windows were custom made adding to the Craftsman theme throughout the home. Natural fabrics such as linen, cotton and wool were chosen to reflect the comfortable tone of the home. The interior was designed with guests and grandchildren in mind. Everything from the front entrance, which has a children’s library, invites one to come in to enjoy the view. The dock, which is visible from the front door, beckons guests to walk down and sit for a while. Elegant designed home located on a private cul de sac on the river. Homeowners worked with Architect and Designer before the land was cleared to create a unique space for entertaining. The home features an elevator, salt water fish tank and infinity pool. The original house for this project is a charming bungalow that is over seventy years old. The house is 1,661 square feet of living space on a 1,890 square foot lot. The challenge of this project was to use green strategies to upgrade and update the structure while maintaining its historic look. 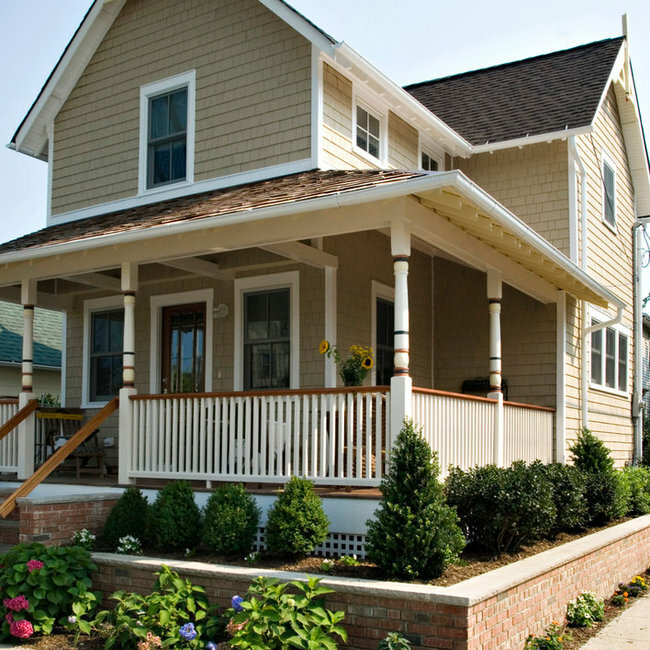 The newly constructed oceanfront home was built where a Victorian home turned Restaurant once stood. The Ocean front views are spectacular from almost every room. 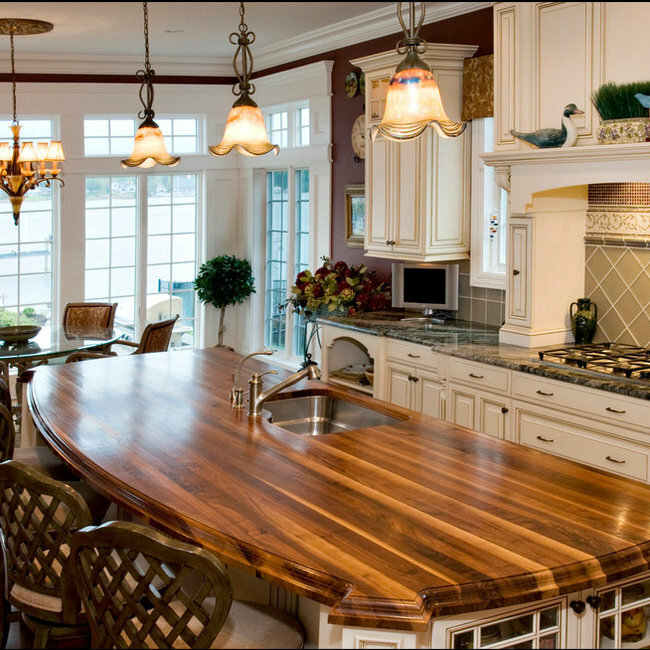 The homeowners needed to complete the interior to reflect the enduring personality of their new classic home. The homeowners have a busy family life and insisted on creating the space that hosts family activities. 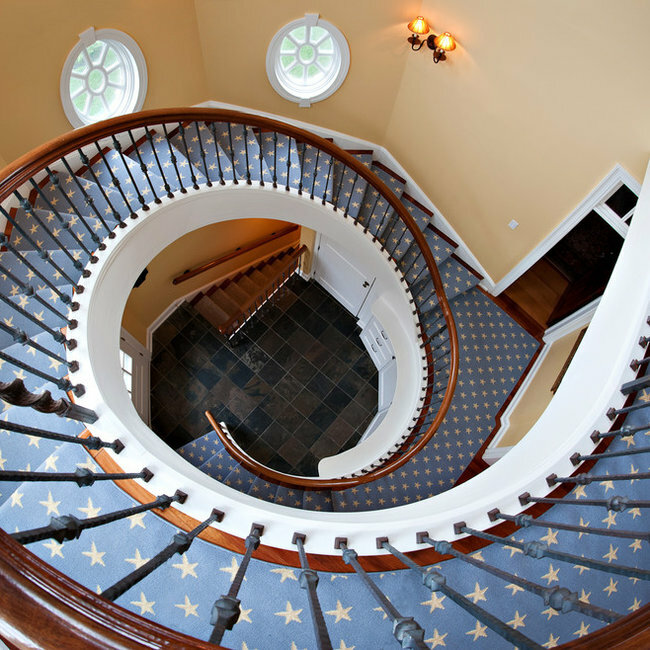 The star carpet was chosen for the back spiral staircase that leads to the children’s wing. The music room is used for recitals and is location for a beautiful Steinway piano that is played often. 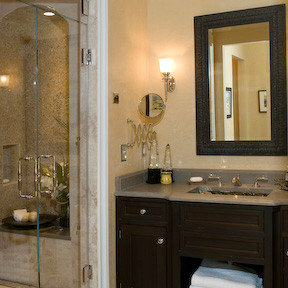 The design selections are tasteful, classic and reflect a sense of timelessness. The Grand Opening for the Luxury condominium was scheduled for February 15th. MCM2 Design was hired on January 1st to budget, purchase and install for two condos to be completely staged. MCM2 Design delivered on time. The builders wanted to attract first time buyers and empty nesters to their newly renovated 100-year-old building. The condo has unique floor plans with 12’ ceilings. The home is located on a cul de sac near a rural country road. The custom home built in the 1990’s has a stately brick exterior and lovely park like grounds. The interior lacked charm and warmth. The client’s collection of pottery provided the inspiration for the entire project. 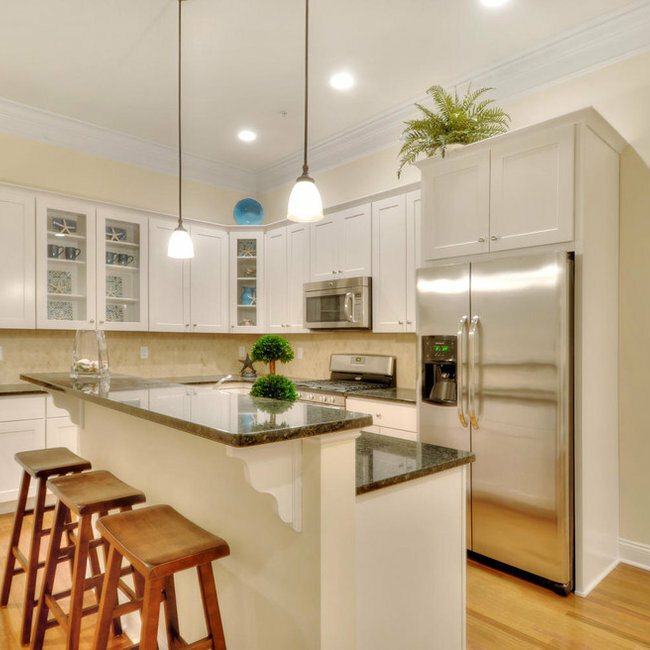 The client who purchased this Toll Brothers home in Princeton Manor desired a model home look. The homeowner who is a professional wanted the home completed before moving in. MCM2 Design worked from inception to select materials at the Toll Brothers Design Center. Most of the furniture selected was new, with the exception of some heirlooms pieces. The client wanted to create a new look different from her previous home. 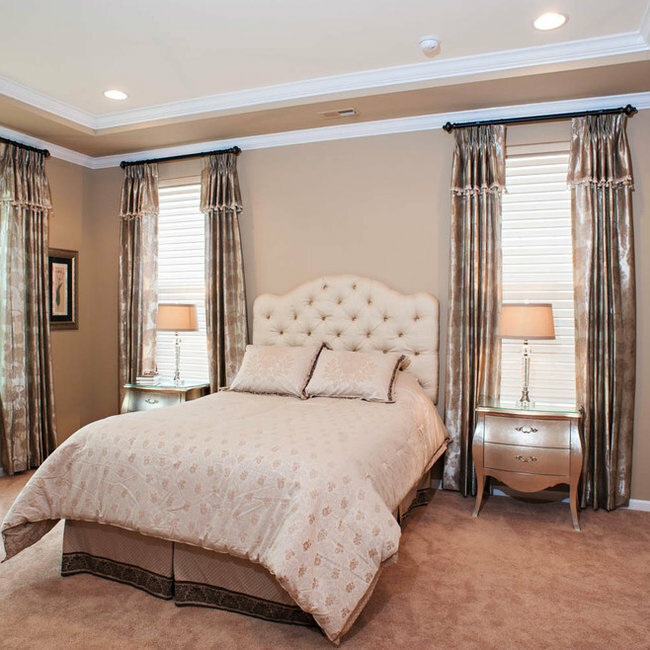 The paint, wallpaper, custom furniture and window treatments were selected to create a clean elegant environment. 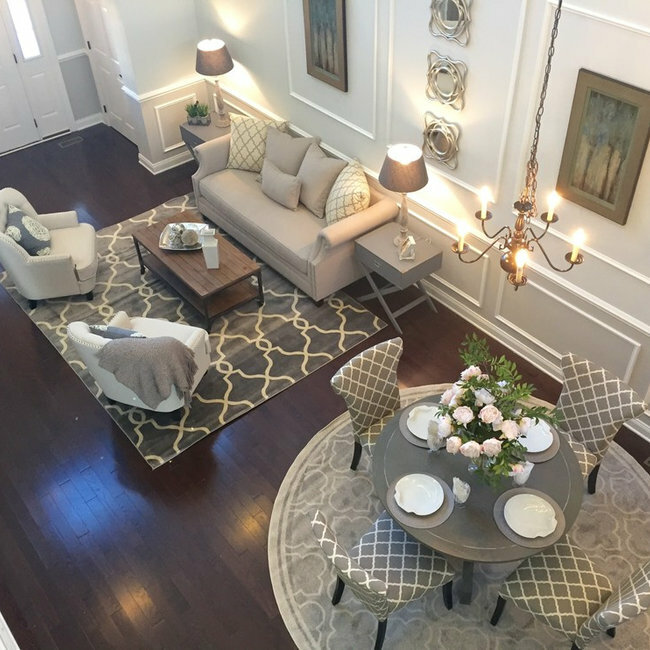 The Toll Brothers model design selected has the perfect layout to accommodate large collections of paintings. 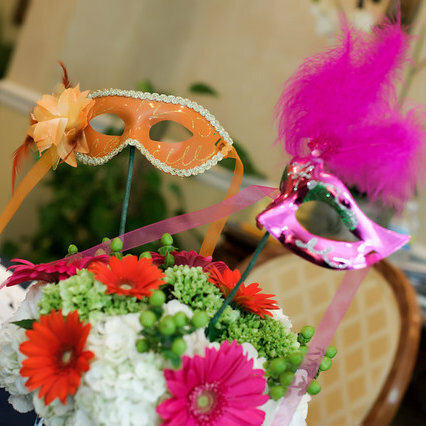 The design team was onsite from the first delivery of moving boxes to the last day with its placing of a floral arrangement on her dining room table. This model home was designed as a package including moulding, designer selected paint pallet and window treatments. 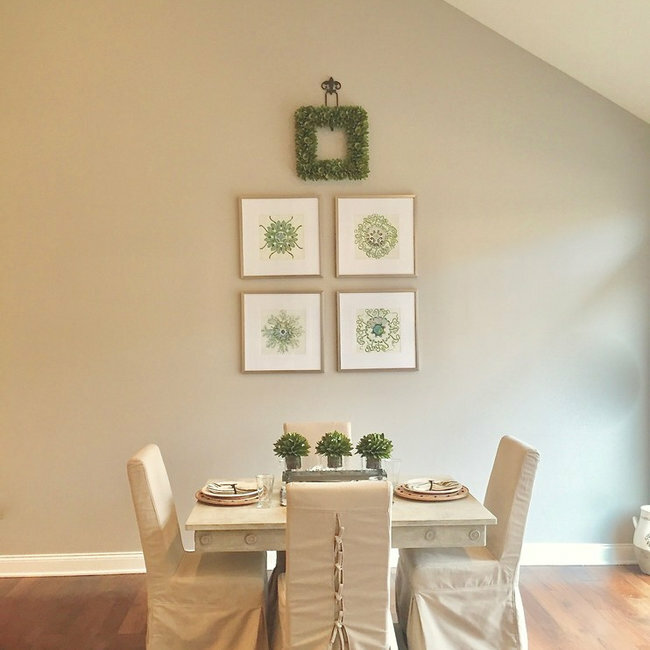 The living room/dining room area is furnished to highlight the trim package and gray walls which creates a designated space for the artwork & mirrors. The Moroccan trellis patterned carpets integrate the living space.